R eleased one year before Who Are You, light years removed from it musically. One of the Boys is one for the formaldehyde files, a curio for fans of the ‘70s singer/songwriter phase released on the eve of the punk revolution. If you heard the single “One of the Boys,” that wasn’t the tip of the rock & roll iceberg, it was the iceberg. The remaining tracks travel the lowlands between country and light rock (and even a little disco on the chorus to “Giddy,” which Ringo Starr frankly could have done better). 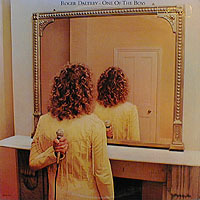 Given that the mid ’70s was sort of a musical morass for everyone (Cat Stevens, Elton John, John Lennon), One of the Boys is one of the last Daltrey albums you need to own. I know, you’re wondering about “Say It Ain’t So, Joe” and “Avenging Annie.” Aren’t they better than that? 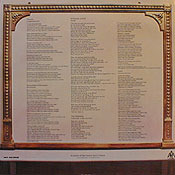 Yes, they are, but they’re not unique to this album; songwriters Murray Head and Andy Pratt have dibs on those songs respectively. 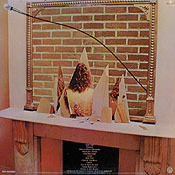 Daltrey does a good job on them, but he did as much with the material on McVicar, and it doesn’t hold a candle to the way he torched up Townshend’s material. (For UK fans: note that the US release featured “Say It Ain’t So” in place of “Written On The Wind.” Both songs plus a pair of tracks appear on the expanded CD reissue.) Now for the gratuitous namechecking: Paul McCartney, Eric Clapton, John Entwistle, Mick Ronson, Rod Argent. They all contribute something to the final product, and yet it actually amounts to very little. I buy Daltrey albums because (1) I’m a collector, (2) I genuinely like his voice, and (3) I’ll slip a dog like Cat Stevens’ Foreigner or Elton John’s Caribou onto the turntable just to calibrate my sense of smell. There are weak moments when I think Daltrey’s work is adequate, usually when I crave any morsel from The Who’s bounty, but then I think of the all the hard-working people out there who might blow ten bucks on this instead of springing for The Who Sell Out or White City, and I find strength. Just kidding with the melodrama, but really this isn’t one of the better boys in Daltrey’s dugout.